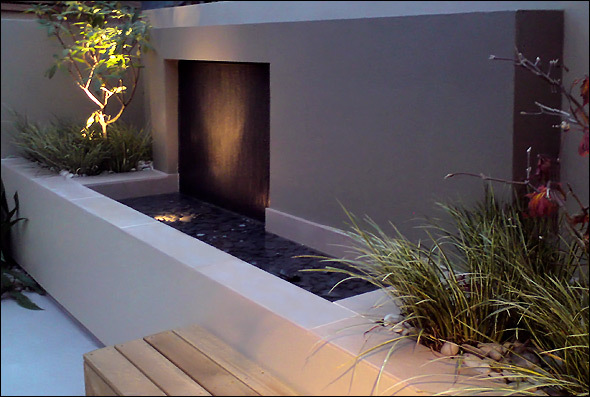 Add the relaxation of water to your landscape with a waterfall, recycling fountain, garden pond, reflection pool, or water sculpture. Include outdoor lighting to highlight your waterfall and fountain in the evening. A great way to end a busy day.